It was a night full of music, dancing and artistic expression for the students of the Motivational Edge, a youth development agency that focuses on helping kids stay off the streets through after-school activities. Their annual Music & Art Student Showcase, Aug. 13 at McCormick Place in downtown Miami, had a full house of guests to see paintings, sculptures and performances presented by the young people. 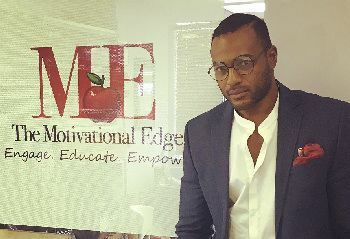 “We’ve tried to create a platform for inner-city youth to feel appreciated and have their voice be heard; build confidence; build morale and find an outlet to success and to know what it feels like to be successful,” said Ian Welsch, 33, founder of the Motivational Edge. Read more in The Miami Herald.